In this series on Looking Back & Looking Forward, we are reviewing a green home we built over 2 years ago, the lessons learned and more importantly, how we can (or even how you can) utilize those lessons on future builds. 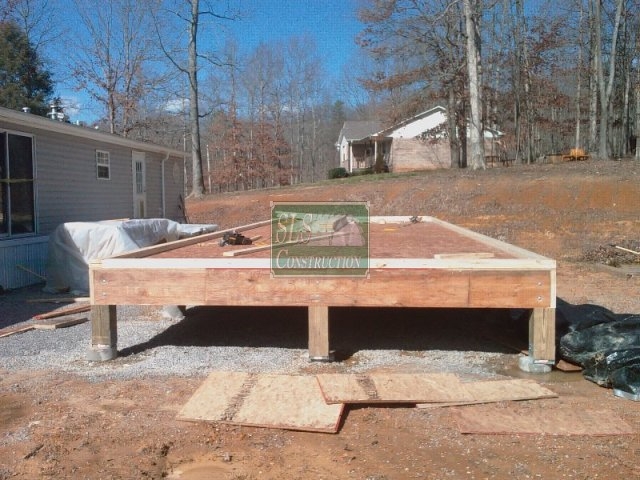 In our last article, we covered the installation from the footings to the sub-flooring being installed. 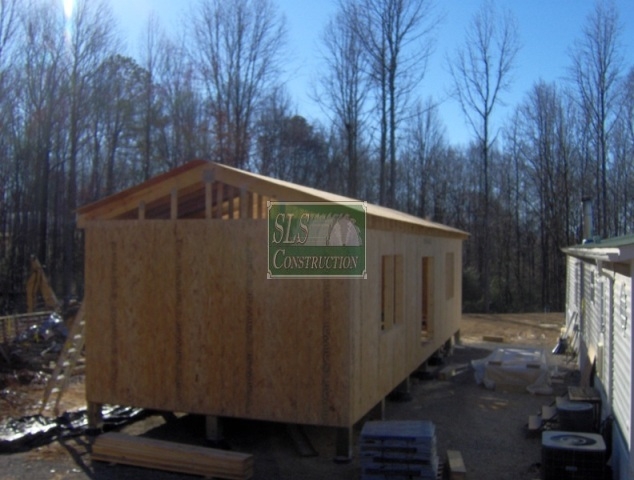 In this article, we are going to cover the wall & roof framing which is also known as the building shell. The wall assembly was actually built and based off of “Coastal” best building practices. I know this house is nowhere even close to the coast, but there are a few considerations I needed to account for. First, this structure is being built on a foundation system that is very popular in those areas. Next, while we do not have to worry about hurricanes as they do on the coast, we still have plenty of high wind events that happen around here. Third, while most individuals have an area to go to in event of a tornado, it would be impractical to expect the occupants to be able to make it there safely. Fourth, I am a proponent of being able to “Shelter in Place” which we will discuss in another article. With that being stated, the walls are constructed of 2 x 6 x 8 studs, with the standard double top plate & single bottom plate for an interior height of 8’ 5”. (Yep, we pulled out every trick to make a small place feel larger and more inviting) The door and window headers consist of doubled up LVL’s and 2 ½” of insulation. 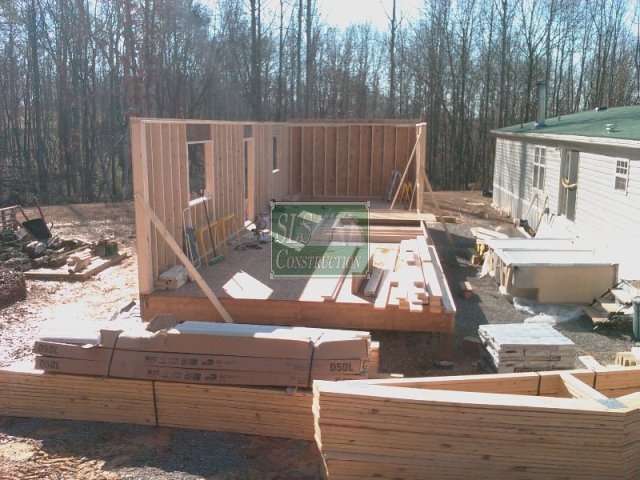 For the exterior sheathing, we utilized a product called TallWall that not only increases the strength of the wall, but also saves you money on hangers and blocking. While I like the premise of this product, and what it does deliver, I would have preferred it if I could have actually gotten their WindStorm product which not only has the same benefits, but is a much higher quality panel. Another option that shows a lot of promise, but was not available at the time is the ZipWall system. It is too bad that ZipWall’s parent company does not offer Advantech in larger sizes, and then there would be no contest. 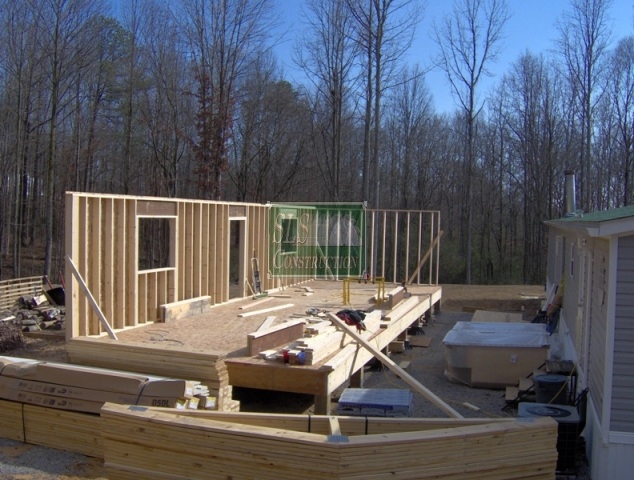 The more common method of wall framing on 16-inch centers, while structurally sound, uses significantly more lumber and provides less opportunity for insulation. 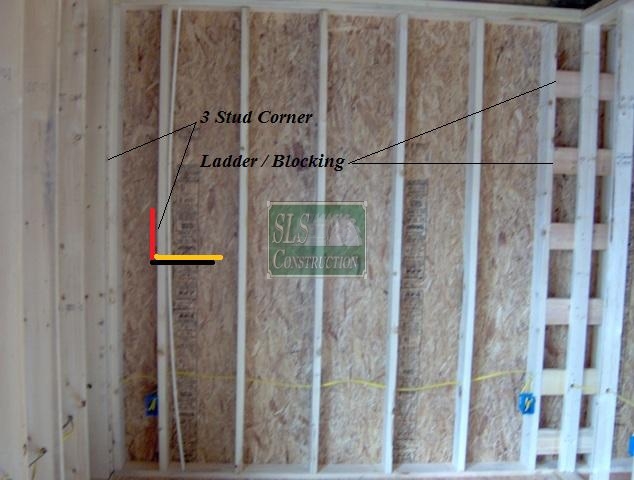 For example, a standard 40-foot wall, 8 feet tall with 2 x 4 stud framing on 16-inch centers will use about 40 studs and leave just under 1,100 square feet of space available for insulation. By comparison, a 40-foot wall built using the OVE stack framing method requires only 25 studs and would create 1,650 square feet of space for insulation. 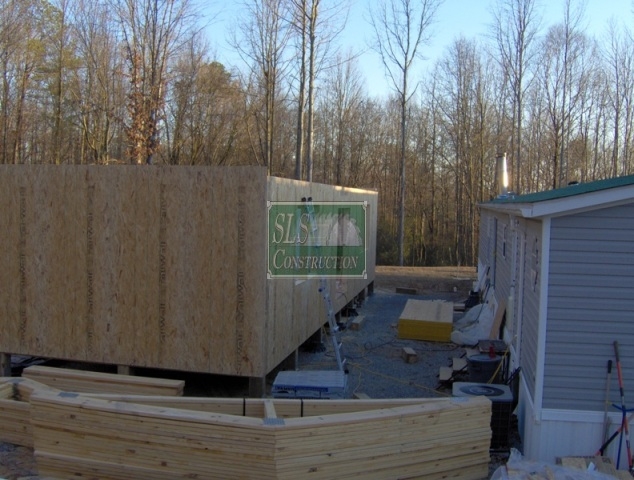 Wow, that sounds awesome – I gain all that insulation space by simply going to an OVE system & save on all those lumber costs. Uhhh wait a minute – 8’ tall wall x 40 feet long = 320 SF, where did they get 1100 & 1650 from? 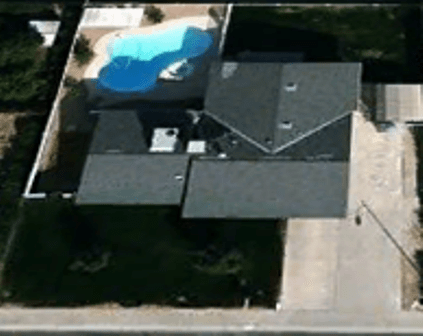 Hmmm, maybe it was for a house with four walls, – nope that only equals 1280 SF possible. Wow, it sure looks like someone at HGTV is really engineering some numbers. Realistically, those 15 studs & 1 top plate only gives you an additional 20 SF of insulation out of 320 SF. 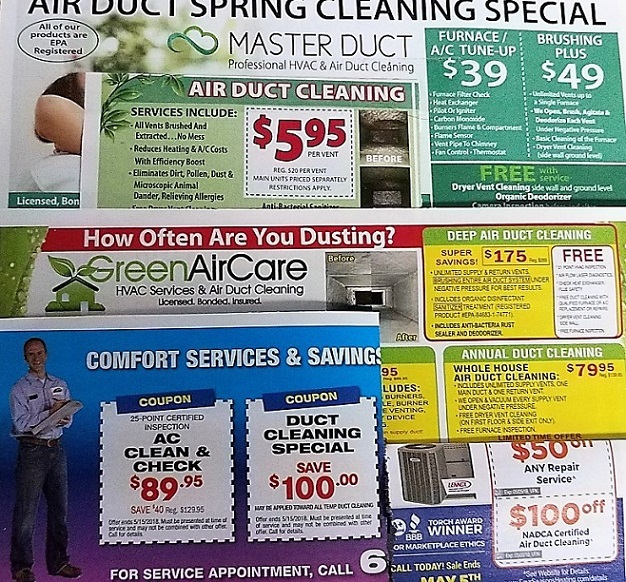 (55 SF lumber in regular wall 17% / 35 SF of lumber in an OVE wall 11%) The magical cost savings – maybe $45 on material for an additional hour or two’s worth of work getting everything lined up exactly? How many people have seen those small little jade or crystal figurines that run into the thousands? Which item would you rather have protecting it, a tortoise shell or an eggshell? The egg itself is truly a marvelous piece of work using a minimal amount of materials that can safely hold and protect a baby chick until it can hatch 30 days later. 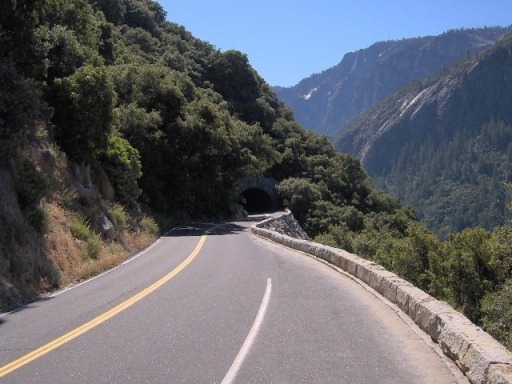 A tortoise shell on the other hand is designed to last the occupant for 100’s of years and protect it from almost everything mother nature can throw at it. In some ways, herein is the biggest issue I have with OVE – It is designed just like an egg, it has amazing lines, but it has only been designed / engineered to last 30 years. I am glad to say, that there has been numerous changes to the “old school” system actually pioneered by OVE and the first is a 3-stud corner (left side of picture). This eliminates one of the most inefficient corner designs ever and allows insulation to be added in a notoriously leaky area. The second major improvement is the use of a ladder system where an interior wall meets an exterior wall (right side of picture). They also pioneered the idea of insulated headers & I will give them props on utilizing brackets for windowsill plates, even though I used cripple studs in this house.